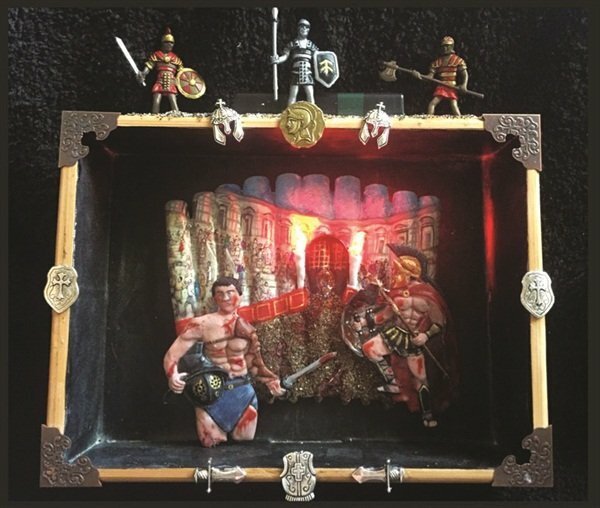 Sarah Abbott, the owner of Creative Nails & Beauty in Kirkcaldy, Fife, Scotland, took first place in her first boxed art entry at the Scottish Nail Tech 2015 competition held in Edinburgh in April. While boxed nail art competitions have yet to make a splash on our side of the pond, they are going strong in the U.K. and elsewhere. No one is happier about that than Sarah Abbott, the owner of Creative Nails & Beauty in Kirkcaldy, Fife, Scotland, who took first place in her first boxed art entry at the Scottish Nail Tech 2015 competition held in Edinburgh in April. 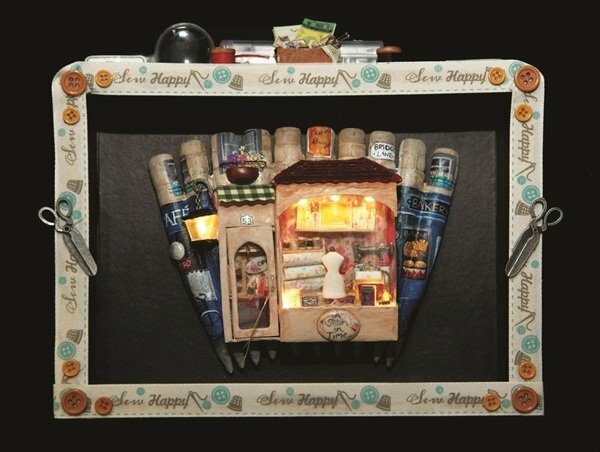 The theme for the Boxed Nail Art Mixed Media category was “shop window.” “I chose to do a sewing shop as I had a keen interest in sewing and like all things vintage,” says Abbott. The competition rules specify the box be around 8.5” x 6” and it must contain 10 tips decorated to the competition’s chosen theme. Tips can be of any size and use different mediums. The artwork must not extend from the nail in any direction by more than 1 inch. Abbott used acrylic liquid and powder, hard gel and top coat, and acrylic paints, and incorporated items like wire, patterned paper, waxing spatulas, cocktail sticks, thread, metal chain, sewing pins, and dried flowers.